Our wonderful annual performance of Handel’s Messiah with the City of Birmingham Choir and the CBSO is selling well – and the Grand Tier of Symphony Hall is now open for business. Book your tickets to enjoy (or enjoy again) Handel’s wonderful music. A truly splendid choir with everyone palpably performing to their utmost. 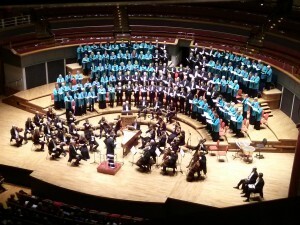 … so said the Birmingham Post of our Messiah performance. Book now! Friday 2nd December at 7.00 pm at Symphony Hall, Birmingham.